To update the Datacentre software, use the Updates tab in the MoneyWorks Datacentre Console application. First, make sure that all users are logged out and that no documents are active. You can check whether documents are active by looking in the Folders tab, with the Show Active Documents option selected. Active documents will be shown with a red active indicator. Get all users to log out and wait until all documents are inactive (will take 1-2 minutes after last user logs out). Updates are available only if your software maintenance subscription is up to date. Click Install to install the update. This will stop the service and restart it after installing (and will restart the console application). 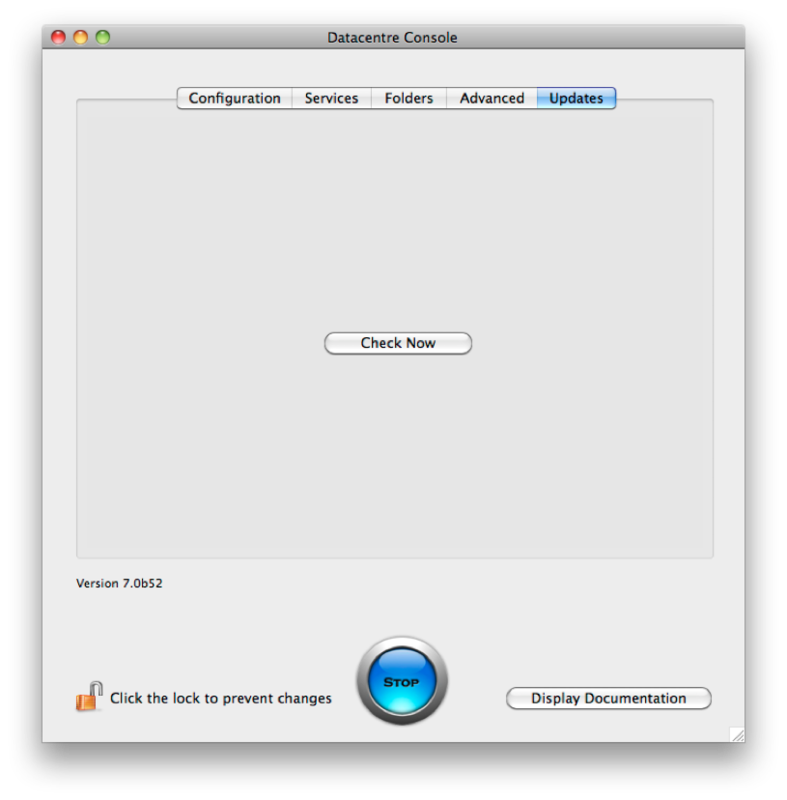 On Mac OS X, the install will just proceed; on Windows, you will see a standard installer interface. You should follow the on screen instructions. Note: You should ensure that all connected users have logged out before updating. On Windows, it is easy to run multiple instances of an application (a new one may start every time you choose the program from the Start menu—depending on the Multiple Instance preference in the MoneyWorks Preferences). If you are running more than one instance of MoneyWorks Gold on a client, and you connect to the Datacentre and it wants to update your client software, you must quit from any other instances of MoneyWorks Gold running on your machine (such as ones that have local files open), otherwise the client update cannot proceed.